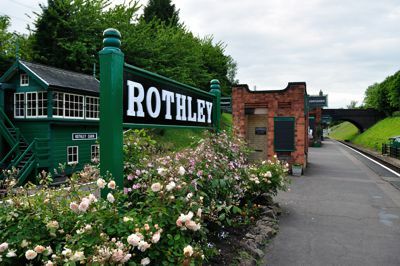 Rothley Station was constructed as part of the ninety-two mile “London Extension” of the Manchester, Sheffield, and Lincolnshire Railway. In 1897, the company adopted the now familiar name “Great Central Railway”, and the new line opened to passenger traffic on 15th March 1899. The station was built to the standard London Extension country station layout with a single island platform between two running lines, with pedestrian access provided via a staircase from the road bridge which crosses the line. 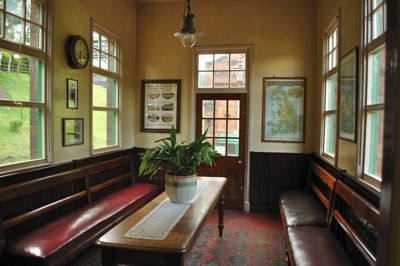 On the platform, the waiting rooms, booking office, and toilet buildings were provided. A modest goods yard, with goods shed and coal store was on the east side of the station. We have attempted, as far as possible, to restore the station as it would have appeared in 1912 – two years before the outbreak of the First World War. In those days the railway station was an important feature of village life. The nearby villages of Rothley and Cropston had grown significantly, with well-to-do commuter housing having been built nearby since the opening of the railway. 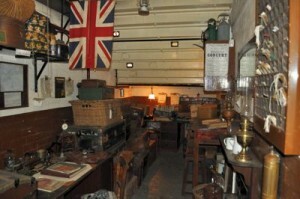 In addition to a regular passenger service, the station also provided goods facilities and deliveries of milk, agricultural goods, machinery, and parcels were common place. Lighting on Rothley station is provided entirely by restored gas lamps in all buildings, and also on the platform itself. This creates a unique ambience which can be enjoyed by passengers on evening dining trains and at certain special events. Interestingly, the station was never equipped with electricity during its operational life as part of the national railway network, and an electricity supply was only installed when the preserved Great Central Railway came into existance in the 1970s. During winter months, heating is provided by roaring coal fires in the waiting room and tea room. 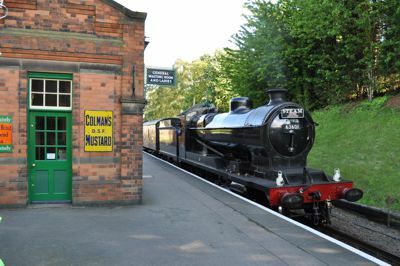 In the car park you'll find Ellis tea room, (a converted goods store shed) and next to it you'll find a picnic area and garden railway which runs most weekends.Opposite the platform is the station signal box, an original GCR structure relocated from Wembley!